In 2015, animal rescue experts in Costa Rica, Central America removed a plastic straw from the nose of an olive ridley turtle. Over 3.5 million people viewed and shared the video on YouTube. It’s a pity that that kind of wake-up call was necessary to make the world rethink our actions regarding the over-usage of straws. But in the era of environmental distress and plight, Milo Cress is a beacon of hope. The 15-year-old teenager is the face of “Be Straw Free”, a campaign that aims to deem straws as needless polluters. The eco-lover came up with the concept at a tender age of nine, when he ordered a soda that came with an “unnecessary” plastic straw. He then started going around restaurants in his hometown of Burlingham, Vermont, to ask managers not to offer straws unless requested by the customers. But questions may arise regarding why should we ban these slim and flimsy straws instead of larger-sized polluters such as plastic bags and can holders? Well firstly, straws are everywhere. Free straws are accessible in fast food shops, restaurants, convenience stores, theme parks and food stalls—the list is endless. According to Be Straw Free, Americans use around half a billion straws every day, which could fill up to 127 school buses each day, or more than 46,400 every year. What’s more is that as these straws are very light and thin, it is no surprise that they are easily blown off from the mainland areas to the oceans with the slightest breeze. Straws are some of the most commonly found plastic materials by volunteers on the beach, together with cups, bags and bottles. 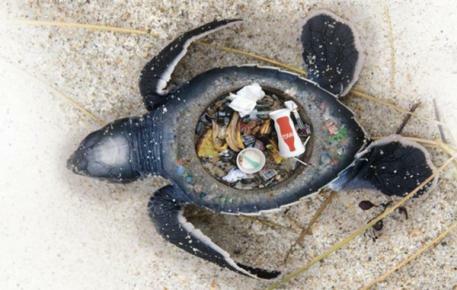 Many marine animals often mistake these floating straws for food. This may result in choking, strangling or falling into helpless scenarios such as the turtle’s notorious rescue, which was captured on camera and viewed almost 12 million times by the public. However, the overconsumption of straws is steadily beginning to slow down thanks to multiple conservation groups like Be Straw Free and Walt Disney World’s Animal Kingdom. The food concession areas of Smithsonian Institution museums already ban straws. Cress has partnered with various organisations that oppose the use of straws in the Vermont legislature. 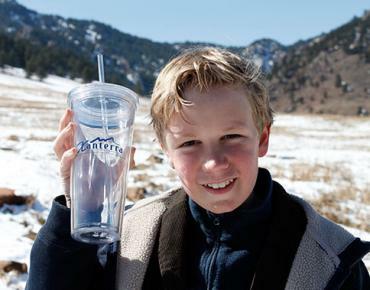 His efforts were cited by Colorado governor John W. Hickenlooper, who made July 11 the state’s straw-free date. Manhattan Beach outside Los Angeles banned all disposable plastics, including straws. Restaurants in San Diego and Huntington Beach (California); Asbury Park (New Jersey); New York; Miami and Bradenton (Florida); London, England; and British Columbia (Canada) have all pledged to ban straws or withhold them until patrons ask for them. 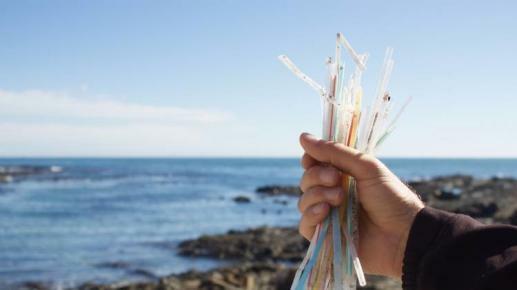 According to the Plastic Pollution Coalition, approximately 1,800 restaurants, organisations, institutions and schools all over the world have dispensed with plastic straws or implemented a serve-straw-upon-request policy. More than 20 such restaurants near Wrightsville Beach, North Carolina, signed up last year to be certified by a coalition of groups as establishments that won’t serve straws unless they’re requested. Humans never really evolved using straws to consume fluids so are straws actually necessary to us? People easily sip on a cup of hot coffee or a mug of beer without sticking a thin, plastic tube into it. So why can’t we do the same for an iced tea? Do think about it the next time you order your drink.